Technology alone will not be enough to solve the challenges of the next 100 years. The tools of the future must be grounded in the limits of a finite planet. They must work with the complexity of the natural systems that produce our food. They must be developed with real users, in relentless pursuit of usability. AgThentic is a strategy firm combining agriculture networks and value chain expertise with technology commercialisation and entrepreneurial experience to help innovators build the food system of the future. We identify actionable insights and opportunities to help you make the impact you're striving for. 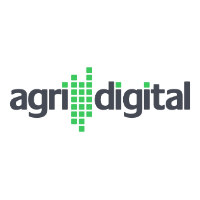 We hired AgThentic to write three case studies on how agtech companies in the US are using Big Data in the agricultural supply chain as part of the Precision to Decision project. The case studies, and associated presentation by CEO Sarah Nolet, have helped us to understand real-world examples of how data can inform decision making. Sarah’s knowledge of the agtech landscape is extensive and she was a great addition to the project"
Sarah was an essential part of our team for over a year and helped us chart the course from been a start up to an early stage growth company. I particularly enjoyed working with Sarah for her ability to balance both strategic and big picture thinking with powerful execution. With a customer focussed systems approach, Sarah had initial responsibility for establishing our internal and external communications functions and working with our sales and customer success team to build our customer funnel. Sarah was able to work equally well as part of a team or independently on project work and added value to so many parts of our growing business. Sarah's extensive global agtech networks were complementary to our own and meant that we could cover a lot of ground together. With a great sense of humour, Sarah is fun to be around and is one of the hardest working people I have ever worked with - her capacity and productivity are incredible. I would not hesitate to recommend her and AgThentic. Frontier Co-op needed to revamp their operational sustainability strategy. We helped them achieve this in a way that was authentic to their values, informed by customer and competitor expectations, and supported by the latest technologies. Thank you! Click here to download the case study.